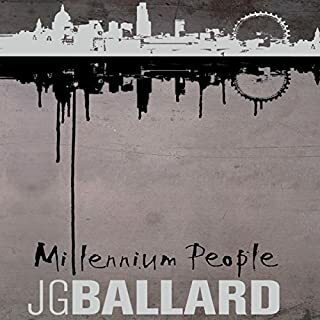 Millennium People tells the story of David Markham, a psychologist who is searching for the truth behind a bomb that exploded on a Heathrow baggage carousel, killing his ex-wife. Infiltrating a shadowy protest group responsible for her death, David finds himself succumbing to the charismatic charms of the group's leader, who hopes to incite a violent rebellion against the government by his fanatical adherents, the spiritually and financially impoverished members of Britain's white middle class. When a light aircraft crashes into the Thames at Shepperton, the young pilot who struggles to the surface minutes later seems to have come back from the dead. Within hours everything in the dormitory suburb is transformed. Vultures invade rooftops, luxuriant tropical vegetation overruns the quiet avenues, and the local inhabitants are propelled by the young man’s urgent visions through ecstatic sexual celebrations toward an apocalyptic climax. 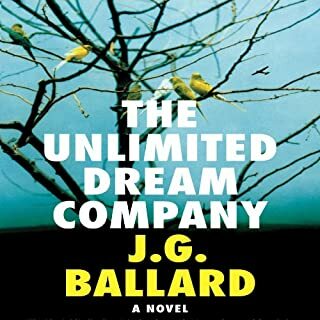 In this characteristically inventive novel Ballard displays to devastating effect the extraordinary imagination that has established him as one of the 20th century’s most visionary writers. A violent novel filled with insidious twists, Kingdom Come follows the exploits of Richard Pearson, a rebellious, unemployed advertising executive, whose father is gunned down by a deranged mental patient in a vast shopping mall outside Heathrow Airport. When the prime suspect is released without charge, Richard’s suspicions are aroused. Investigating the mystery, Richard uncovers at the Metro-Centre mall a neo-fascist world whose charismatic spokesperson is whipping up the masses into a state of unsustainable frenzy. Riots frequently terrorize the complex, immigrant communities are attacked by hooligans, and sports events mushroom into jingoistic political rallies. In this gripping, dystopian tour de force, J.G. 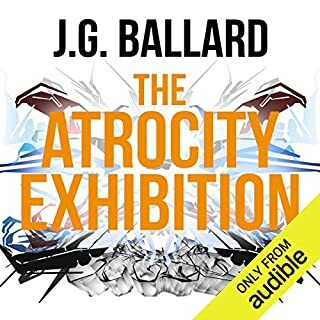 Ballard holds up a mirror to suburban mind rot, revealing the darker forces at work beneath the gloss of consumerism and flag-waving patriotism. 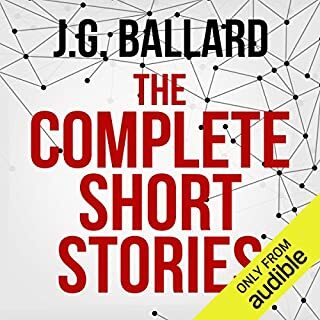 ©2006 J. G. Ballard (P)2013 Audible, Inc. So, what was the thinking here, do you suppose? 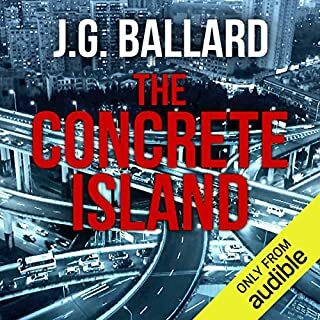 Hmmm, Ballard was English, so let's get a narrator who can do a really REALLY bad British accent? Did the producer think it would what? maybe cute-up this dark novel? it makes the book seem the epitome of what its author was so caustically satirizing. and it utterly wrecks Ballard's final novel, which is a shame. Classic J.G. 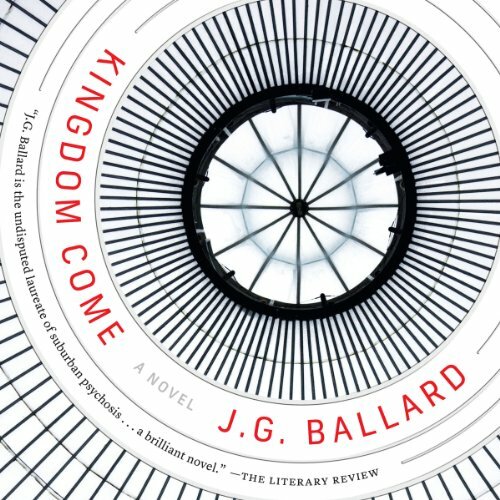 Ballard, a chillingly up-to-date look at a possible future. 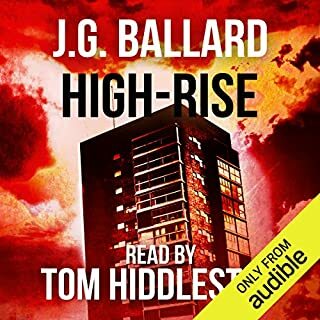 but Ballard would not be pleased by the reader who adopts a foppish, exaggerated Oxbridge accent for the narrator/chief-protagonist. Ballard would not be pleased. With so many excellent British readers available, why was this American chosen for this book?